Billy Drewes joined the Mel Lewis (now Vanguard Jazz) Orchestra in 1990. Drewes weaves classical music into a wide body of music that he composed and performed. He continues to record and tour with artists including Herbie Hancock, Bill Frisell, Eddie Gomez, Randy Brecker, John Scofield, Toninho Horta, John Abercrombie, Fred Hersch and Peter Erskine. Critics laud Lee Musiker as absolutely brilliant, sparkling, and a remarkably empathic and inventive virtuoso. Improvisatory Minds welcomes, Dennis Dreith, our newest member. 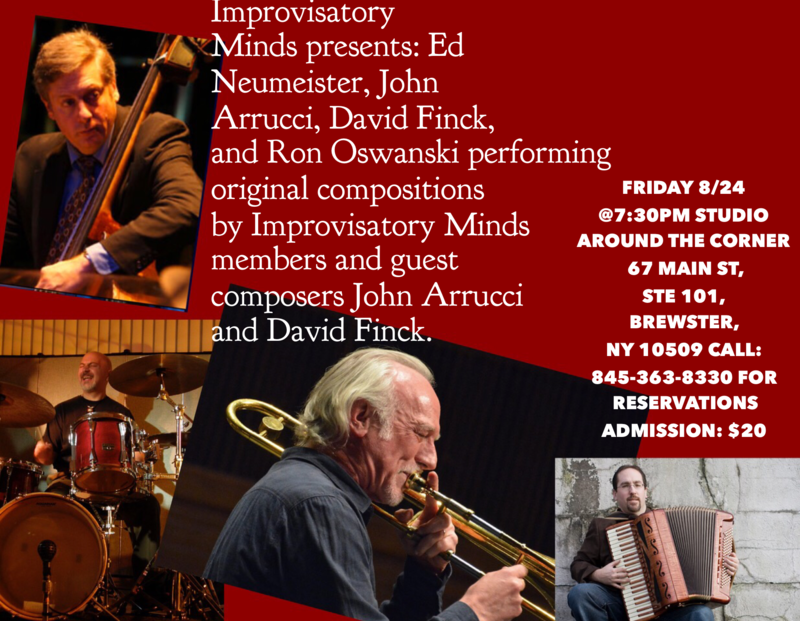 Improvisatory Minds is a collective of composers from Los Angeles, Austria, New York, and Oxnard. We present classical concert music informed by a jazz perspective. Our previous events have included the New Hollywood String Quartet, the Righteous Girls (NYC), the Panic Duo, and members of the Lyris String Quartet at Upstairs at Vitello’s, St. Peter’s Church in New York, Classical Encounters, and with TV composer Jeff Beal. and lead the orchestra on tours with them to China, Japan, Korea, and South America. Previously he had been concertmaster for many groups in New York, including the Brooklyn Philharmonic, Dance Theater of Harlem, and the New York Pops. He was also concertmaster for Sweden’s Drottningholm Court Theatre Orchestra, as well as London’s well-known period instrument orchestra the Hanover Band. As a soloist and concertmaster, he has worked with conductors such as Pierre Boulez, James Levine, Lukas Foss, and Dennis Russell Davies. Hudson was also first violinist for NYC’s major contemporary music groups, Speculum Musicae and the Group for Contemporary Music. He has directed recordings of J.S. Bach’s complete Violin Concertos, Brandenburg Concertos, and the Art of the Fugue. Along with pianist Mary Verney, Hudson has recorded the complete Beethoven Violin Sonatas for Nimbus Records. He has also recorded music of contemporary American composers such as John Adams, Elliot Carter, Steve Reich, Phillip Glass, and John Cage. With the Hanover Band, he recorded a highly regarded version of Mendelssohn’s Violin Concerto in E minor. The Strad Magazine commented that “his performance is so fine that he seems able to energize both orchestra and conductor…sets a standard for future performances”. Regarding a recording of American composer Lou Harrison’s Concerto for Violin and American Gamelan, the New York Times said, “ the most persuasive advocacy of Harrison’s music came from Benjamin Hudson’s violin…”. 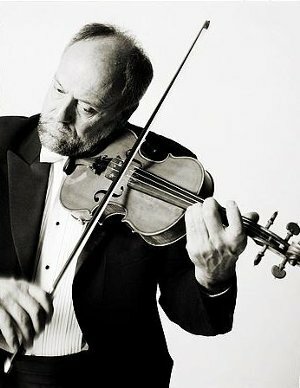 Born in Illinois, Ben grew up in California and studied violin with Donald Weilerstein, Eunice Shapiro, Josef Gingold, Oscar Shumsky, Joseph Silverstein, and Henryk Szeryng. Pianist Antoinette Perry gave her first public performance at the age of four. She has since appeared throughout the U.S., Europe and China as a soloist and chamber musician, collaborating with many of the world’s greatest artists, including Leon Fleisher, Ralph Kirshbaum, Ronald Leonard, Brooks Smith, David Shifrin, Gabor Rejto, Henri Temianka, Joaquin Valdepenas, Carol Wincenc, and actors Michael York and Walter Matthau. She has performed with members of the American, Chicago, Cleveland, Emerson, Juilliard, Los Angeles, Paganini, Sequoia, and Takacs string quartets, as well as concertmasters and principals of major orchestras in Los Angeles, New York, Rotterdam, the Hague, Amsterdam, Cleveland, Cincinnati, Gulbenkian, Zurich, Chicago, St. Louis, Toronto, and San Francisco. As an Artist-Faculty Emeritus at the Aspen Music Festival and School, Ms. Perry performed in over 100 festival concerts, in addition to participating in festivals in Germany, China and throughout North America. Her recordings in collaboration with flutist David Shostac have been issued by Harmonie & Excelsior and her work has frequently been heard on NPR’s Performance Today, and the Bravo! channel. 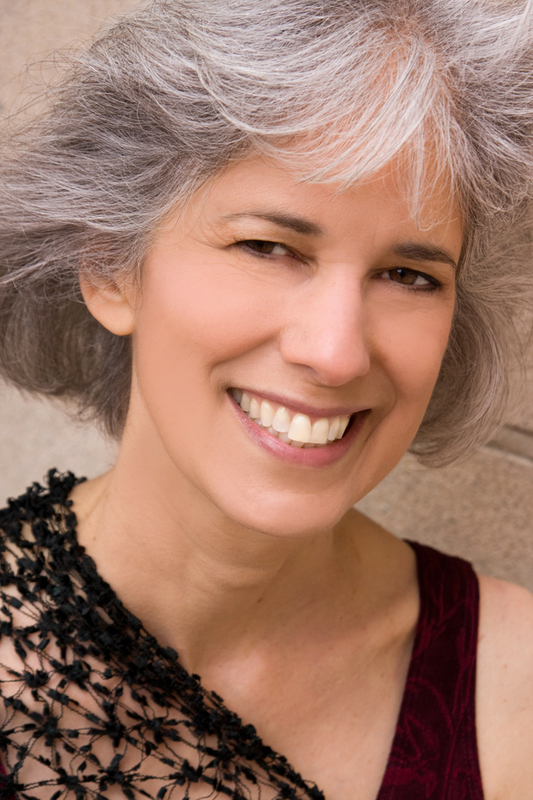 Distinguishing herself as a pedagogue, Ms. Perry taught with UCLA for 12 years before joining the Keyboard Studies faculty of the USC Thornton School of Music in 1996.